“The use of green tea leaves probably first originated in the southwest area of China more than 3,000 years ago, and was likely initially used by people just for chewing and eating, in just the same way that coffee was first used by people eating the beans directly in Ethiopia. Over time, the use of leaves and buds from the tea tree gradually expanded as people began to use it in cooking and when added to boiling water to flavor the water they drank. 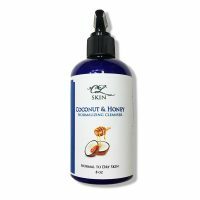 When was it discovered it was good for the skin? It seems this is a very hard question to nail down. 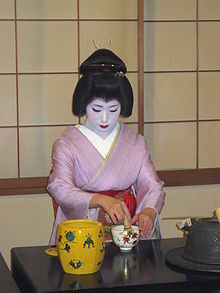 After much research and study the closest answer I have come to is the ancient Geisha. Not only did they drink green tea on a regular basis they used green tea in their regular skin care routine. 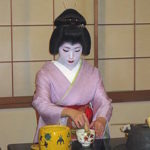 Who doesn’t wish they had the flawless skin of the beautiful Geisha? In the last 25 years or so it has become more popular to use green tea on your skin and hair. Why? Green tea is very high in antioxidents, enzymes, amino acids, and phytochemicals like polyphenols. Polyohenols are what is responsible for the antioxident and anit-inflammatory effects of green tea. Polyohenols also may prevent collagen breakdown by inhibiting collagenase in inflamed skin as well as photoaged skin. 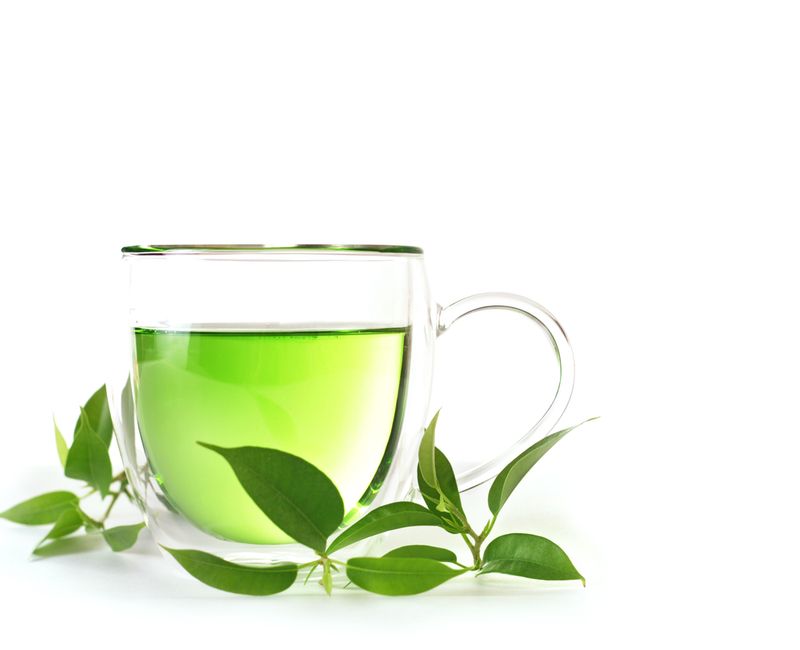 Green tea protects against sun (UVB) damage and environmental impacts on the skin. Because of the strong anti-inflammatory and vasodilation (increased blood flow) properties of green tea it makes it an excellent ingredient in body lotions and face cream. When you suffer sun damage, such as sun burn it will reduce the inflammation and increase blood flow to the area encouraging cellular repair quicker then if it is left on its own. We have found that green tea has a cooling effect on the skin giving burned or irritated skin instant relief. Green tea contains B vitamins, manganese, potassium, magnesium and caffeine. 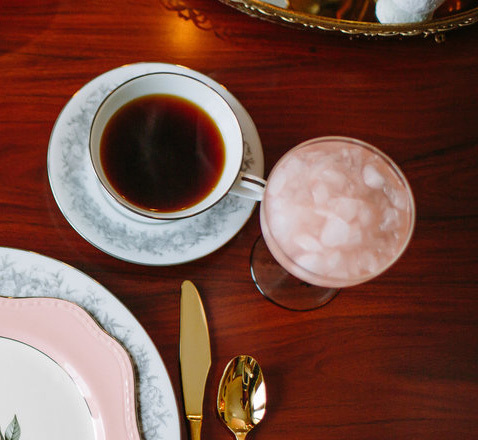 Caffeine is not only a stimulant that wakes us up in the morning but can stimulate the skin as well. This is why you are starting to see products popping up with coffee grounds and tea in them. The caffeine a Methylxanthine promotes vasodilation. The increased blood flow helps the skin repair it’s self and improves oxygenation to the skin. Improved oxygenation regenerates the skin and makes it smoother, firmer and brighter. Uses of green tea include anti-cellulite treatments, sun-protectors, anti-wrinkling formulations, irritated and sensitive skin products, and hair care products that improve strength and gloss. 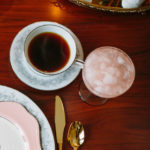 How do we use green tea? 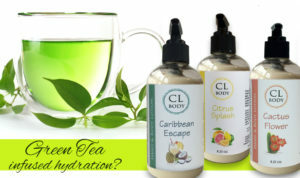 You will find green tea in a variety of the CL Skin, CL Body and CL Hair products. 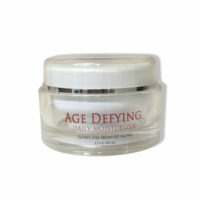 You will find green tea in the Age Defying Moisturizer. I start by brewing green tea into my water phase along with orange peel before adding my butters and oils. You will find that the moisturizer has a light brownish look to it. This is from the green tea infused water. 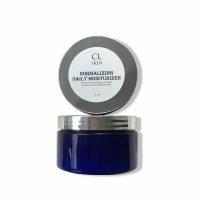 With the increased circulation and the improved oxygenation effects that green tea produces it makes it the perfect base for this wonderful day time moisturizer. Our face is not the only area that can benefit from green tea. CL Body’s Hand and Body Lotions are rich in green tea helping to promote healing of the skin, and creating soother, firmer skin. 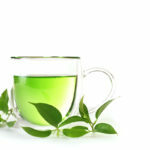 Green tea with the promotions of blood flow aids in breaking down cellulite. Who doesn’t want smoother thighs! You’ll find green tea infusions in both the Hydration Therapy Hair Mask and Curl Addict. Our hair like our skin suffers environmental and chemical damage and distress. Green tea improves the strength of your hair and shine. Because of the ability to stimulate blood flow it stimulates hair growth, reduces hair fall, will also prevent dandruff or any other scalp problems.